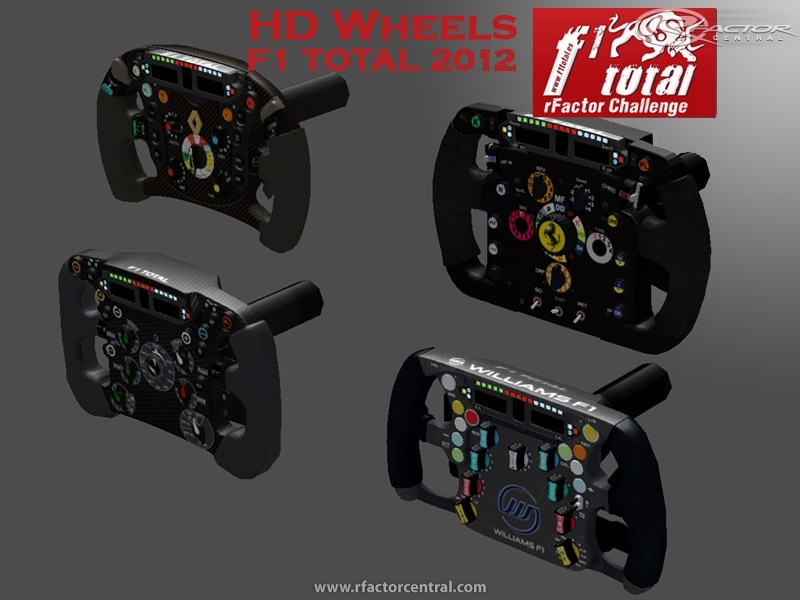 HD Wheels for MOD F1 TOTAL 2012 with great graphics quality, almost without loss of fps's.. Here we present our HD Wheels for the MOD F1 TOTAL 2012, the graphic quality touch that was missing from the MOD. Not included in the original mod because it causes a loss of 10% of fps's in Low graphic quality settings, which could cause problems for some users in online competitions. However, no loss of fps's in Full, High or Medium graphics settings. We hope you enjoy it, you must to try! This is a modification of the chrysler neon from tc2000, it's a fantasy car with sounds, phisics and engine ficticious.